Click on Add from top left corner of your screen and choose Group option. A window will pop up where you can add group name and select people whom you want to be part of the group. Hit Add button and the group will be added. 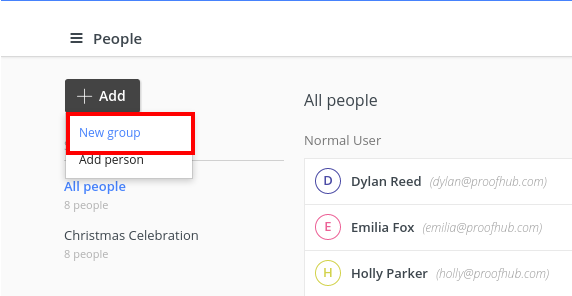 While selecting people to add in group, you get the option Add person, to add a new person in your account. You can click on it to add anyone whom you want to be part of your account.